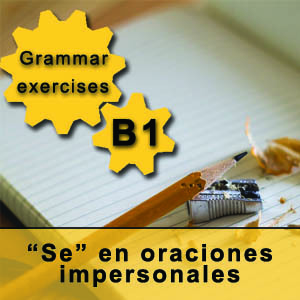 This grammar exercise will help you understand some basic prepositions in Spanish and how they are used when they go with verbs of movement. With these basic prepositions, you will be able to express destination, origin, limits, direction, means of transportation and approximate place of passage. The exercise consists of an explanatory box that illustrates the use of some prepositions in Spanish (a, en, desde, hasta, hacia, and por), in relation with verbs of movement such as “ir” (to go), “viajar” (to travel), “llegar” (to arrive), “venir” (to come), “andar” (to walk), “caminar” (to walk)… Once you understand the differences between these prepositions in Spanish, you can practice them with the exercises that follow. These prepositions in Spanish have no meaning by themselves, but they become meaningful when they establish relations with different parts of a sentence. There are many different types of relations, but in this exercise, we are going to focus on the relations they establish with verbs of movement. “A” indicates the destination. For example: “Voy a clase cada día” (“I go to class every day”), “mi marido viaja a Francia cada mes” (“my husband travels to France every month”). “EN”, indicates the means of transportation. For example: “Prefiero viajar en avión” (“I prefer to travel by plane”), “no me gusta ir en metro” (“I don’t like to go by metro”). “DESDE” indicates the origin of the movement or departure point (it also works with time). For example: “Vengo desde mi escuela de español en Madrid andando, estoy cansadísimo” (“I came walking from my Spanish school in Madrid, I am so tired”). “HASTA” indicates the limits. For example: “Mi tren va hasta Segovia” (“my train runs until Segovia”, meaning that it is the final destination, the limit of the journey). “POR”, has many different uses (see these useful Spanish expressions with “por”), as other prespositions in Spanish do. However, when it goes with verbs of movement, it has the meaning of going through, passing by, or crossing with. For example: “Para llegar a Barcelona es mejor ir por Zaragoza” (“in order to get to Barcelona it is better to go by Zaragoza”, meaning that Zaragoza is a city of passage). 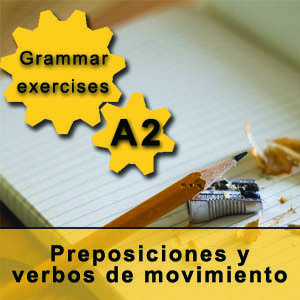 We hope with grammar exercise helps you understand better these prepositions in Spanish and their relation with verbs of movement. If you want to continue using easy schemes to learn Spanish grammar, have a look at our Spanish grammar book. 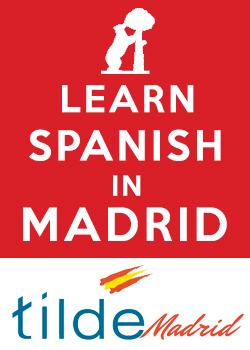 And remember, you can always join our Spanish classes in Madrid every Monday of the year!